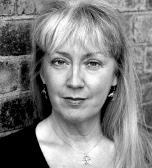 A North American born Communications Specialist, who has lived in the UK for the past 30 years, Tara trained initially as a professional actor and has now been involved in the corporate sector for more than 25 years. Working with a wide range of blue-chip corporations, from the banking, consulting and commercial sectors, as well as various government bodies across more than 35 countries. As well as presentation skills, experiential training and facilitation work, her experience encompasses devising and writing complex training programmes, through to delivering a wide range of training modules worldwide on areas as diverse as sales, performance management, assertiveness and influence, interview and appraisals, assessments and ethical/diversity workshops. Tara’s skills include coaching (using modules such as GROW and PACE), performance management (MADE, BOFF etc), assertiveness and communication (ECT, EEC etc), behavioural analysis (NLP,TA etc), personality styles (using MBTI, SDI, Verax, Disc etc), and motivational techniques such as her own personally devised CAN and HEART models.